Something has been stirring in a corner of the bicycle industry. Bikes designed to offer some of the capability of a mountain bike wrapped up with the speed and ergonomics of a road bike, and dubbed adventure and gravel bikes, are all the rage right now. What is an adventure and gravel bike? 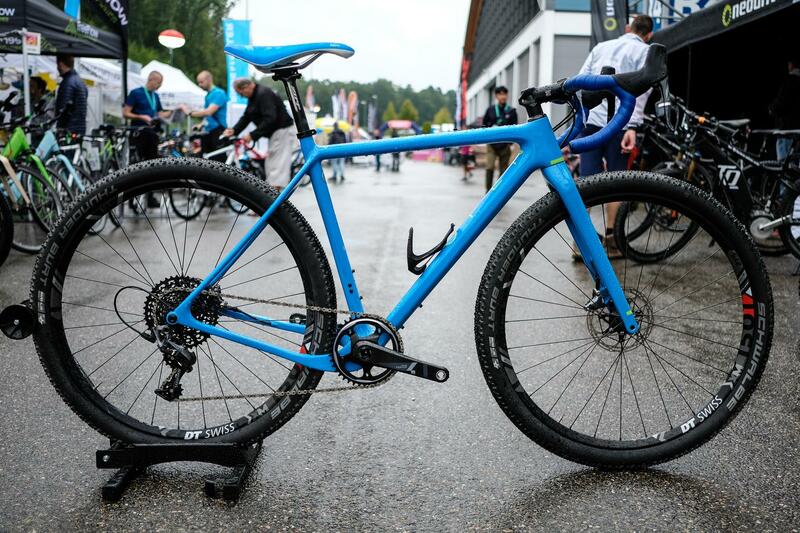 An adventure and gravel bike takes elements of a cyclocross, endurance and mountain bike and fuses them into a package that is ideally suited for riding over just about any terrain, from the smooth road to rough gravel. These are bikes designed to go anywhere and can be used for everything: adventure rides, bikepacking, trail riding, cyclocross, commuting and even club rides. You name it, they can do it. You could use one to ride the 4,418m Tour Divide or some commuting and local singletrack, they are highly versatile and adaptable bikes. You'll see a lot of names used to describe these bikes, but they all amount to the same thing. 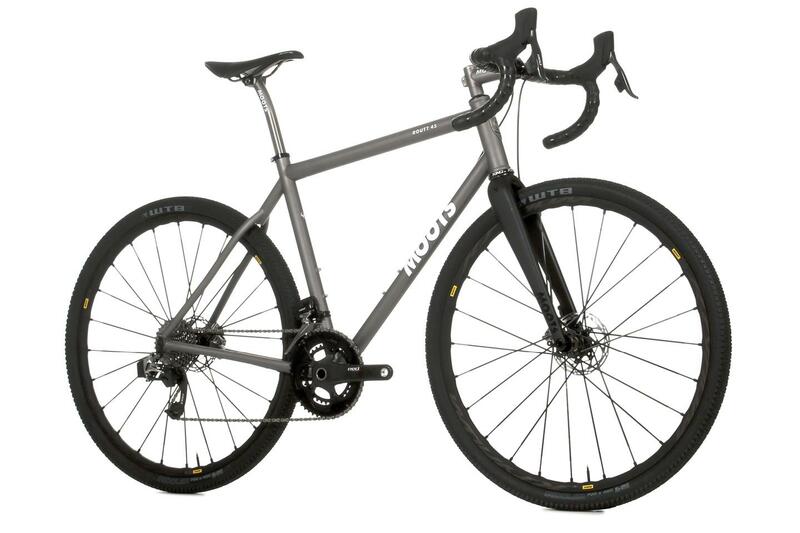 The gravel name comes from the inspiration for this genre of riding in the US where long distance gravel rides and races have become hugely popular in recent years, and bike manufacturers have responded by producing dedicated bikes. Adventure is a popular name because it points to a growing appetite and desire to travel, to explore new horizons, do a bikepacking trip or more humbly escape the pressure of daily life. They are bikes that can be ridden fast on the road, and with the right tyres they are not much slower than endurance bikes in the right hands, but swap to a chunky mountain bike inspired tyre and you can turn off the road and head into the woods and explore new routes that are off limits to road bikes. How are they different to road bikes? Tyre clearance and disc brakes are the key differences between an adventure bike and a traditional road bike. The frames are often built to be more rugged and durable to survive epic distance rides in remote landscapes. 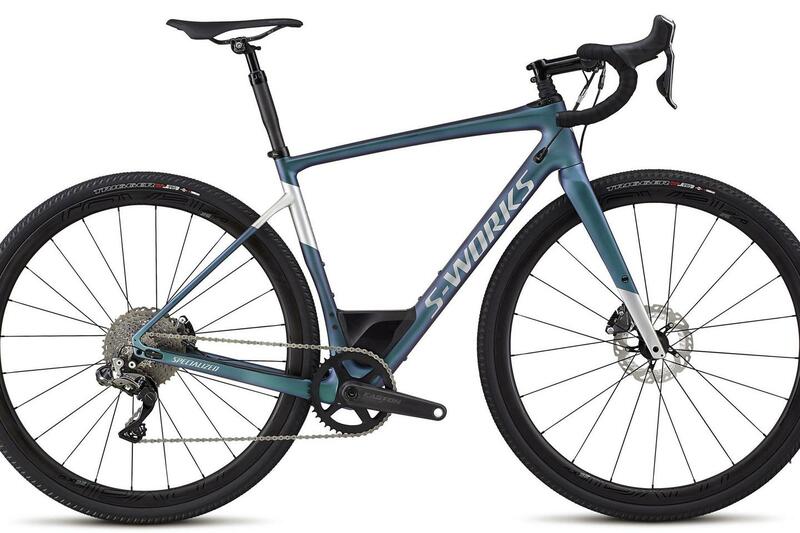 There are small differences in geometry, but no two adventure bikes are the same, but they do draw similar comparisons to an endurance road bike. So a long wheelbase, tall head tube and relaxed head angle make the bike more stable and less twitchy than a pure race bike, and comfortable for long distance rides. How are they different to cyclocross bikes? You could be forgiven for thinking there's little difference between adventure bikes and a cyclocross race bike, but there are some key differences if you look closely. 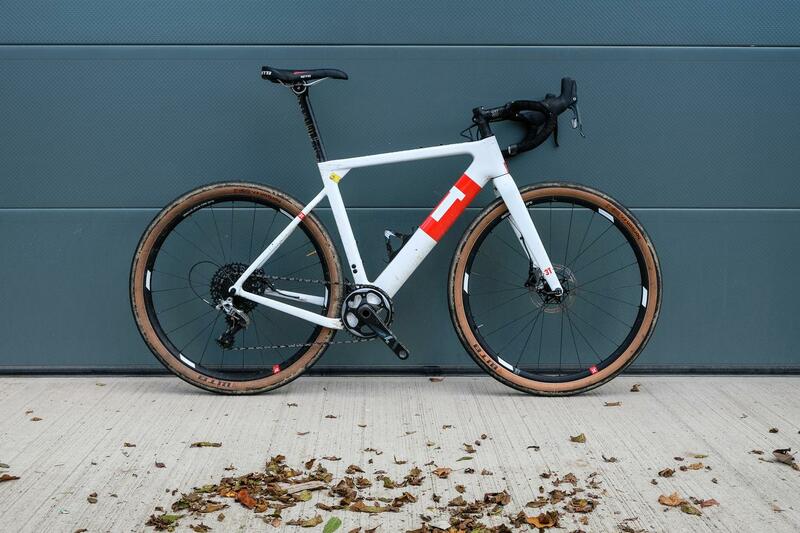 Cyclocross race bikes are designed to be right at home on a tight and twisty race course, with a high bottom bracket for generous clearance and a frame that is easy to shoulder to run over obstacles. 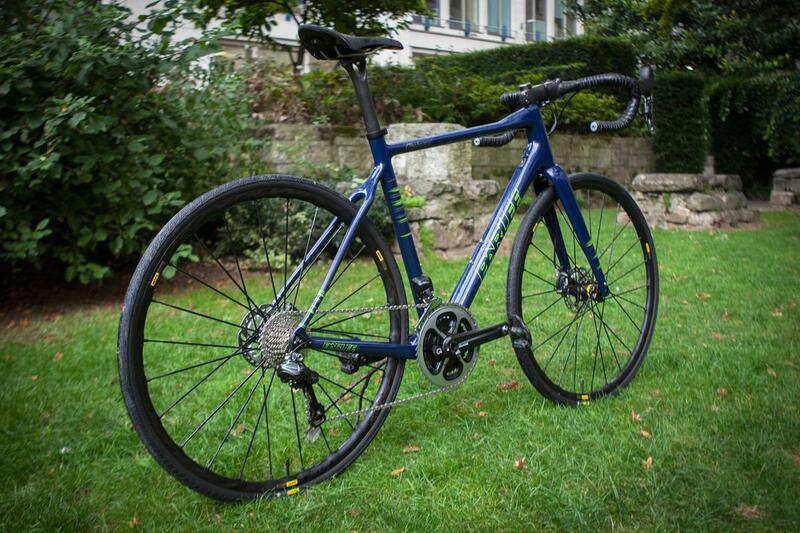 The geometry changes include a longer wheelbase, slacker head angle and lower bottom bracket to provide more stability and a ride that is similar to an endurance road bike, and better suited to blending from tarmac to dirt roads. Disc brakes are common on adventure bikes. They remove the limitations of a caliper brake with regards tyre width, plus hydraulic disc brakes are powerful, reliable, need almost no maintenance, the pads last a long time and are especially handy if riding a fully laden bike on an unfamiliar and challenging terrain. 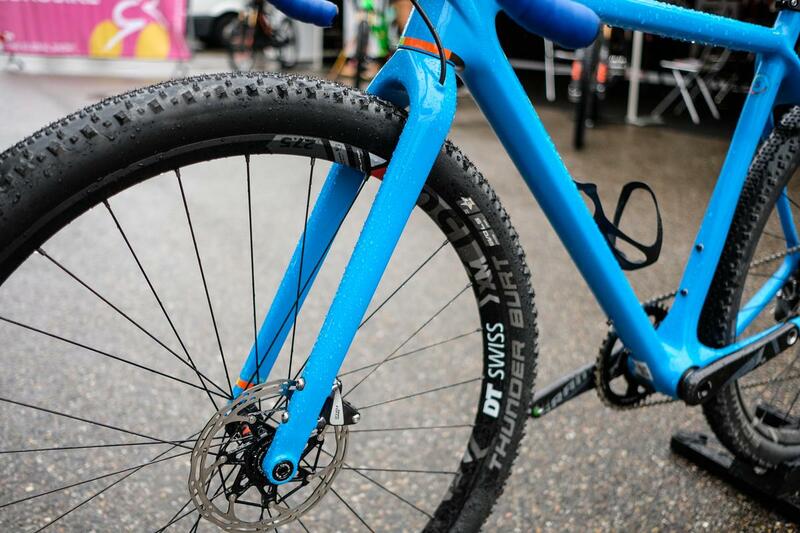 As part of the disc brake development, most adventure bikes have borrowed bolt-thru axles from the mountain bike world. Large diameter axle threads into the dropout and provides a stiffer and more secure system than a skinny quick release axle, so you'll see thru-axles on most of these bikes. Versatility is a much-lauded benefit of an adventure bike, and many come with mudguard and rack mounts. Mudguards are useful if you wanted to use it for winter riding, while rack mounts can allow the fitting of panniers and bags for touring. 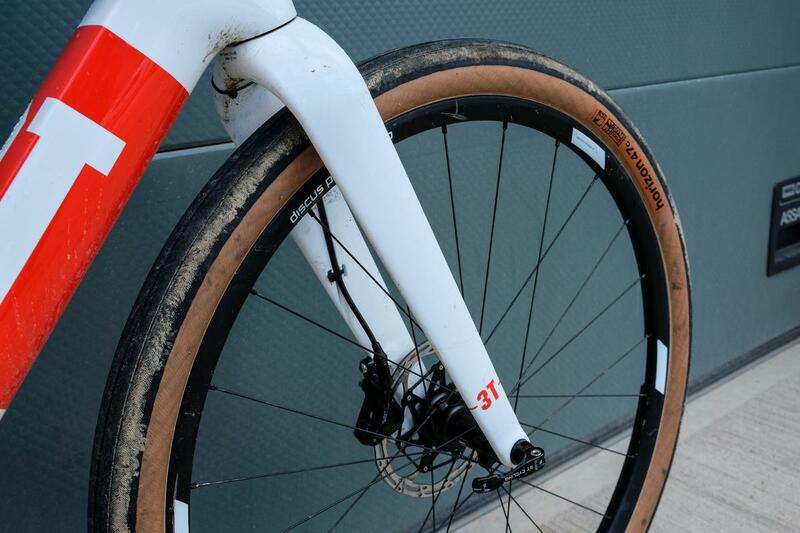 In general, we're seeing 35 to 50mm tyres being common choices on adventure and gravel bikes. How wide you go depends on many factors, but know one thing, there is no right or wrong. What tyre width you opt for comes down to the terrain you want to be able to ride, the ratio of road to off-road riding, your personal riding style and how much comfort you want. 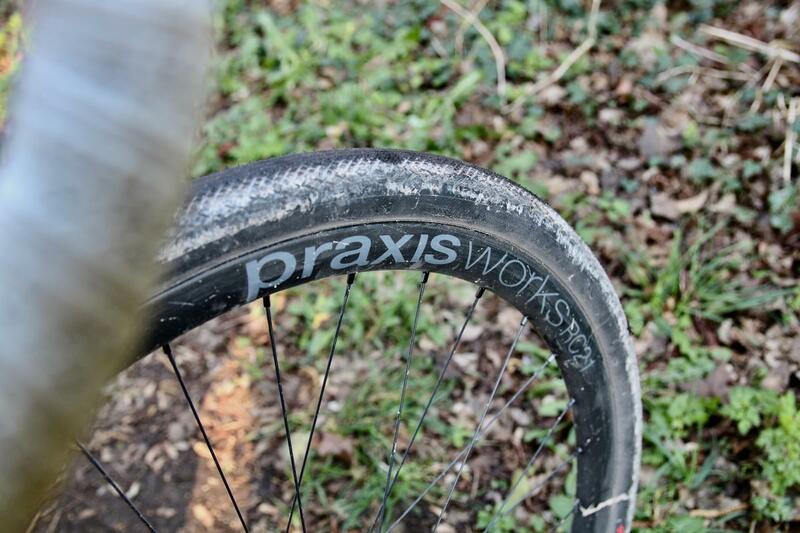 There's a lot of debate in the growing adventure community, but we're are seeing 40mm tyres become a sort of benchmark and a happy medium that is neither too skinny or wide if you're buying your first adventure bike. There is another option: 650b. It's an old French wheel standard and has become largely standard on mountain bikes as they moved away from 26in wheels in recent years, and has become another choice for adventure bikes with some interesting benefits. With a smaller wheel, a larger volume tyre can be used, whilst retaining the same outside diameter as a conventional 700c wheel. That means you keep the same geometry so the handling won't change drastically, but benefit from more comfort and grip from the bigger tyre. A 650b wheel lets you fit up to a 50mm tyre, and in some cases, even a 2.1in mountain bike tyre will fit! Many of the newest adventure bikes will actually let you fit either wheel size, so you're not locked into any one standard. The genre-defining Open UP is easily compatible with 700c and 650b wheels. There's a growing choice of tyres and wheels in both sizes and you can spend a lot of time researching tyre choice! The gearing on an adventure bike differs a little from a road bike and owes more to developments on the mountain bike side. 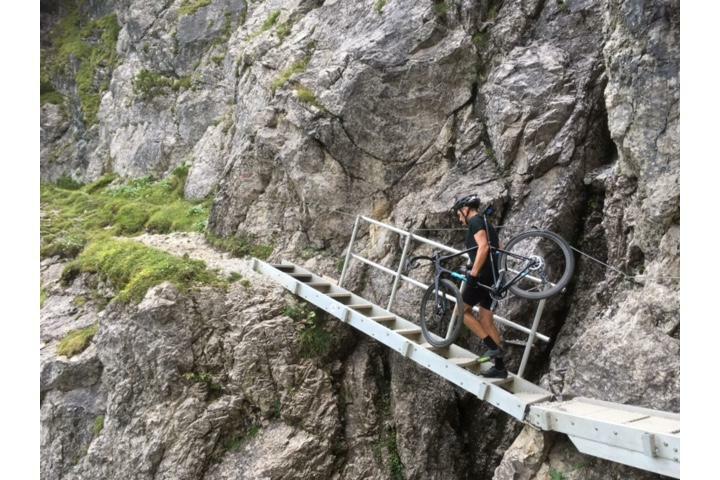 A key difference with an adventure bike is that you might be tackling some rough and tough off-road terrain where the ground can slow progress and hills can be steeper than on the road. You might also be riding a bike laden with packs so the build weight will be much higher than your Sunday best road bike. All that which means that the gearing is generally lower than a road bike, and there are broadly speaking two options. 1x: SRAM has enjoyed huge success with its 1x11 drivetrains on mountain bikes, and its Force and Rival road versions offer a huge range 10-42t cassette which can be paired with a choice of chainring sizes to provide the right gearing range you need for your riding needs. Another popular option is to combine a Shimano XTR Di2 rear mech with road brake levers and a single ring chainset of your choice. 2x: The small downside to a wide range cassette is that there can be some big gaps between certain gears. A 2x drivetrain retains a closer range cassette with a double chainset to offer a wide range of gears with smaller gaps between each gear, and the availability of sub-compact with 48/32t chainrings provides the necessary lower gears. SO SHOULD YOU GET AN ADVENTURE BIKE? Adventure bikes are incredibly versatile, and that's what we really like about them. With just a change of tyres you can use an adventure bike to ride a sportive, commute to the office, go bikepacking or touring, mountain bike, ride across Continents, race cyclocross or enter one of the growing numbers of gravel events like the Dirty Reiver or Grinduro. And there's nothing to stop you fitting a wide slick tyre and adapting the bike for road use. With a wide availability of 28 to 32mm slick tyres, an adventure bike can be pressed into mainly road use. Buy an adventure bike with two sets of wheels, one with fat slicks and another with off-road tyres, and you have two bikes in one. That's versatility for you. Here's Bespoke customer Michael putting his Parlee Chebacco through its paces in the Black Forest in Germany. Feeling inspired?